Which Are the Most Common Car Key Problems? FC Locksmith > Blog > Banner > Which Are the Most Common Car Key Problems? One of the greatest concerns with car key problems is that their solutions are entirely different. That’s because not all car keys are the same. So, when you are dealing with any sort of problem, you should consider your key type first. Still, the solution to a particular problem is not one-dimensional. A key might be stuck in the ignition for a number of reasons. With these things said, let us just stress out the importance of refraining from fixing issues by yourself. Such DIY jobs have nothing to do with your safety and everything to do with the security of your car and your pocket. If you do something wrong, you will have to pay a larger amount of money than if you would call a car locksmith. 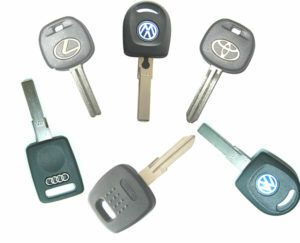 Which are the main car key types? Older cars most likely utilize standard ignition keys. These are the keys you use to unlock and lock the door and start the engine. Overtime, car systems changed. Many cars started utilizing fobs, which are a different category altogether. 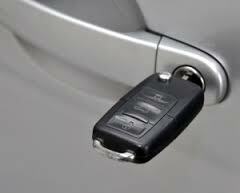 Nowadays, most cars operate with transponder keys. These ones have small chips that send signals to the car, which takes turn to unlock and start the engine. As for their problems, they might stem from normal wear. But keys get lost too. And problems are also caused by external factors, like dust, freezing weather etc. So there is a lot to consider and check and that’s why an auto locksmith is always a valuable asset. Just like any other key, ignition car keys become damaged. At the very least, they wear over the years. So you will notice having a hard time inserting the key in the car lock or ignition. Be careful there. If you put too much force, chances are that you will break the key. And you don’t want that to happen. Such problems demand immediate car key replacement. A locksmith must come to extract the broken piece and make you a new key. It’s fixable but a hassle. 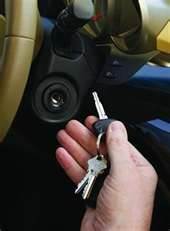 But ignition keys don’t operate well when the lock or ignition is damaged. The internal mechanism wears too. It gets dusty and frozen. Some of its parts might break. Such problems will keep you from inserting the key let alone turn it. Once again, don’t push it. Call an emergency locksmith. When you have a transponder car key made, you need to be sure it is programmed too. If not or not programmed properly, it won’t work. The problem with transponder keys is that they might need reprogramming too. This rarely happens but don’t exclude it from your need-to-find-a-solution list. You need to remember one thing: each chip key is programmed to operate with one car only. This is important to remember when you buy used cars or get a new key replacement. Most car key fob issues have to do with the batteries. When they die, the fob stops working. So, the simple solution is to change the battery and see if it works. If not, try out your second fob. It should work. If you still have a problem, chances are there is a problem with the locks. But always keep in mind that fobs might give you problems if components of their tiny mechanism break too. Your car keys are too valuable not to work well. But since problems cannot be entirely avoided and these systems are too sensitive for you to repair, always keep the number of an automotive locksmith with you. At least, that’s our advice.